Well articulated! Jaya Jaya Sankara! Hara Hara Sankara! The Paramacharya was a “Walking University” both in the literal and literary sense of the word – his knowledge of the Shastras, Vedas, Vedanta etc. was unparalleled. He led an austere and spartan life dedicated to the protection and furtherance of the Dharma and the teachings of Adi Sankara Bhagavadpada. This year (May 29, 2018) will mark the 125[SUP]th[/SUP] birth anniversary of the Kanchi Paramacharya Shri Chandrashekarendra Sarawathi, a colossus who strode across the Dharmic firmament of the country, someone rooted in the cultural and dharmic soil of the country and drawing from that eternal fountainhead and expressing it in every aspect of his life. He was a Rishi moulded in the image of the ancient sages of Bharat, who lived in our times. 87 years – that is how long the Parmacharya, Shri Chandrashekarendra Saraswati served as the Peethadipathi of the Kanchi Kamakoti Peetham – served is indeed the right word for not even a fibre in his body could think of anything other than service – this despite the fact that if he so wished, the world could have been at his feet. How does one go about penning a tribute to someone who was one of the greatest moral forces of the last hundred years, who’s contributions to the Dharma are on par with the greatest exemplars to have been produced in the country over several centuries, but still lived a life of such simplicity, austerity, and humility? When India attained freedom the Paramacharya’s message was one of a kind – “Let us all pray to God to vouch safe to us strength of mind and energy to engage ourselves more and more in attaining spiritual knowledge. It is only by the grace of Almighty that we can safeguard the freedom that we have achieved and also help all the living beings on earth to lead a happy life.” and then he wished that the freedom gained after much difficulty gave us (the people) “…such fruits as Aram (Dharma), Porul (Wealth), Inbam (Happiness) and Veedu (Moksha), by the grace of God” clearly placing “Dharma” at the top of everything else showing how Dharma is the ring-fence that should dictate the means of acquiring everything else including wealth and happiness. In 1907, Swaminathan was a 13 year old boy studying at the Christian Mission School at Tindivanam, when news came that the 66[SUP]th[/SUP] Peethadhipathi of the Kanchi Kamakoti Peetham had attained Siddhi at Kalavai, a village about 22 km from Arcot and 43 km from Kanchipuram. 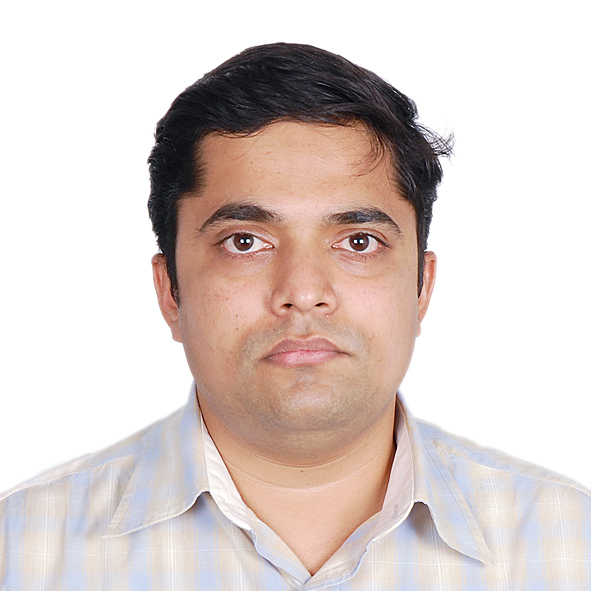 News also filtered in that a maternal cousin, the only son of a widowed and destitute sister of Swaminathan’s mother had been chosen to be the next Jagadguru. 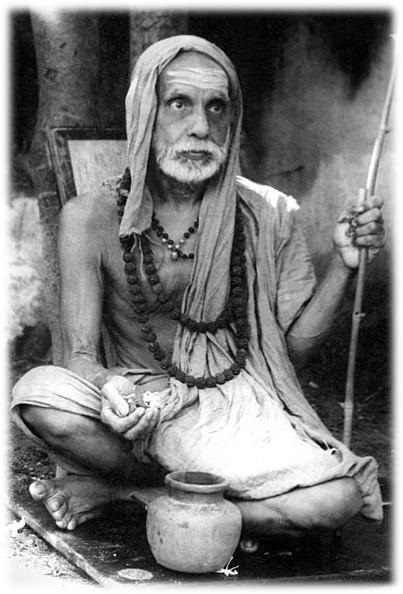 The Paramacharya would recall much, much later in a special interview for the Bhavan’s Journal titled “What Life has taught me” how through a coming together of several events both tragic and perhaps even divine, it so happened that he came to be anointed as the 68[SUP]th[/SUP] Peethadhipathi in a sudden and tumultuous series of cascading events that would change the course of his life, the Mutt, and the country. “My mother with myself and other children started for Kalavai to console my mother’s sister on her son assuming the Sannyasa Ashrama (he was the only son and she was a widow). We traveled by rail to Kanchipuram, and halted at the Sankaracharya Mutt there. I had my ablutions at the Kumara Koshta Tiratha. A carriage of the Mutt had come there from Kalavai with persons to buy articles for the Maha Pooja on the 10th day after the passing away of the late Acharya Paramaguru (The 66[SUP]th[/SUP] Peethadipathi, Chandrasekhara VI). One of them, a hereditary maistri (helper/carriage-driver) of the Mutt, asked me to accompany him (alone). A separate cart was engaged for the rest of my family to follow me. During our journey, the Maistri hinted to me that I might not return home and that the rest of my life might have to be spent in the Mutt itself. At first I thought that my elder cousin having become the Head of the Mutt, might have wished that I live with him. However, I was then only 13 years old and so I wondered as to what use I might be to him in the institution. 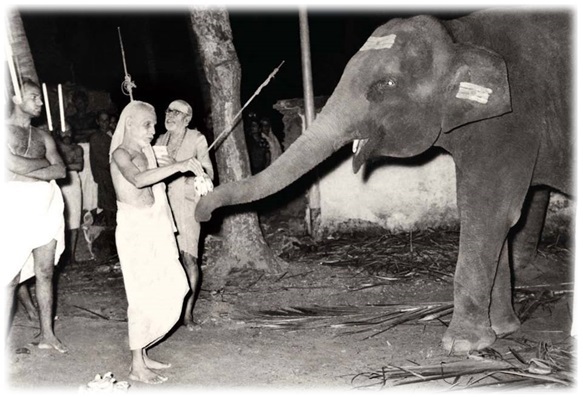 It was in Kalavai that the training and education of Swaminathan took place under the watchful eyes of Adayapalam Pasupati Iyer in particular who helped mould and shape the young boy into the Jagadguru who would one day become Shri Chandrashkarendra Saraswathi Swamigal and Maha-Periayava for millions of devotees. 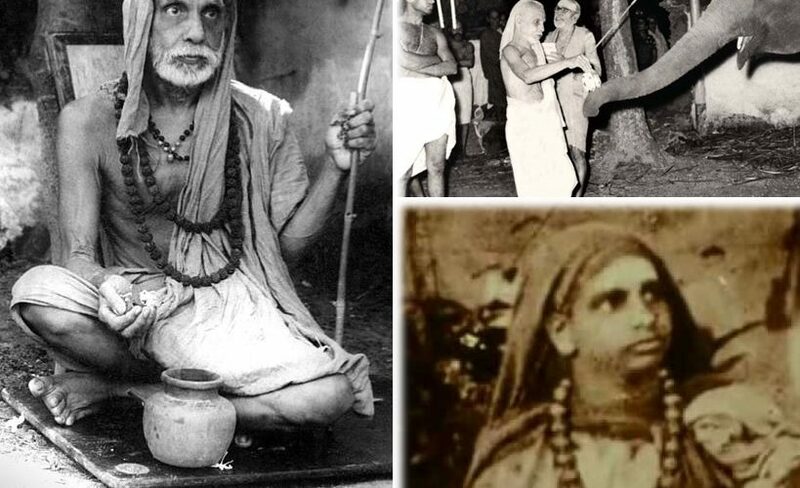 It was “Maha-Periyava” or just “Periyava” that became popular and still remains the most common way in which people refer to Shri Chadrashkarendra Saraswathi. It is a name that at once conveys endearment, respect, reverence, and devotion. It also reflects what he really was and remains – a “Periyava”, a colossus who strode across the Dharmic firmament of our country for over 8 decades. The Paramacharya led an austere and spartan life dedicated to the protection and furtherance of the Dharma and the teachings of Adi Sankara Bhagavadpada. What he consumed as food did not subscribe to any of the rules of nutrition or minimum calorific requirements. Often, all he had was a handful of puffed-rice twice a day – this however did not dim his physical energy or his spirit or for that matter his phenomenal mental, physical, and spiritual powers. He did not swerve even a hairsbreadth away from the teachings of Adi Sankara, the Vedas, and the Shastras i.e. the tenets of Sanatana Dharma. He maintained that as the Peethadhipathi it was not for him to try and make changes or modifications to the Dharmashastras, his mandate was only restricted to explaining/interpreting them and following them – he would be the example, the exemplar who would show how it was possible to live per the tenets of the Dharma and the Shastras. The Paramacharya was a “Walking University” both in the literal and literary sense of the word – his knowledge of the Shastras, Vedas, Vedanta etc. was unparalleled, so also was his ability to walk, earning him the sobriquet “The great Paadayatri”. He is perhaps the only recent Acharya ever to have walked the length and breadth of the country twice, visiting temples and places of historical and cultural importance across India while carefully recording his observations. He was relentless in exhorting people to do their utmost to practice, promote, and protect the Vedas and the Shastras. Almost every talk of his ended with a strong statement followed by an appeal to the audience highlighting the importance of practice as opposed to talk. As he would say – This is a Dharma that requires to be practiced. The Vedas are the breath of God and it is our duty (to protect the Dharma) not just to God but to all the Rishis who have bequeathed this treasure to us. This ability to be able to impact another living being positively by the sheer power of his personality was probably because the Acharya was always in total harmony with his surroundings – the silence of the sky, the humming of the breeze, the thrum of the moving mass of devotees, the fragrance of the earth all seemed to be as much a part of him as they were a part of the surroundings. On another occasion, a group of blind children from a school happened to visit the Mutt but on the specific day of their visit the Paramacharya was in “Mouna” (silence). It was the practice at the Mutt that when the Acharya was in Mouna no one dared speak to him – not out of fear but out of reverence. The Acharaya himself never broke his Mouna for anyone even if it was the Prime Minister of the Country. Now, the teacher who had brought the blind children to the Mutt was extremely disappointed when the Mutt administrator informed him that since the Acharya was in Mouna there could not be any interaction on that day. In his disappointment the teacher was reduced to tears and even hit his forehead with his palms proclaiming loudly that these “poor” children have been deprived of the blessings and kind words of the Acharya. The noise reached the Acharya’s ears and he beckoned the administrator and asked him what the matter was. When he was briefed about the matter, the Acharya immediately broke his Mouna. He spent the entire day with the children speaking to each one of them, blessing them, and offering them fruits – there were 100 children and almost the entire day was spent in the company of these children. During the last two decades of his life, the Paramacharya descended into the silence of his own self. The voice and personage that inspired millions and the compilation of the magnum opus – Deivathin Kural (in Tamizh) and “The Voice of God” (in English) transformed into the form of the silent Guru – the Dakshinamoorti Swaroopa. The silence of the earth, calmness of still waters, and the majesty of infinite space had entered into him, in the all-encompassing silence of paripurnata. This silence entered into the eternal silence on January 8, 1994. 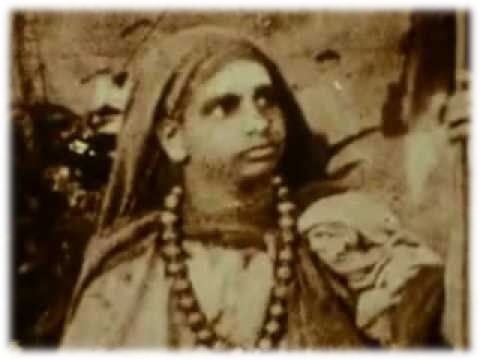 Rudyard Kipling once told his students “One day, my young friends, you will meet a man who cares nothing for wealth or comfort or fame or glory and then you will know how poor you are.” This captures the essence of what the Paramacharya truly was – no one was richer than him in the truest sense of the term. can you enlighten me the importance of sandhyavandanam . How is a Mattadipadi selected? To an extent, we know how a Pope is elected. But reading this article is clear that Mutt selected its leader by nepotism? This post is not against Parmacharya or any other Muttadipathi. Koti namaskaram to a great man!! I had the good fortune of visiting the Kanchi Math on November last year, and getting the blessings of Sri Jayendra Saraswati and Sri Vijayendra Saraswati. Eventhough the Seer looked old and seemed absent from this world, immersed in his mental chants, I felt a personal touch in my interaction with him. The fact that he departed from this world soon thereafter, has made that experience invaluable.